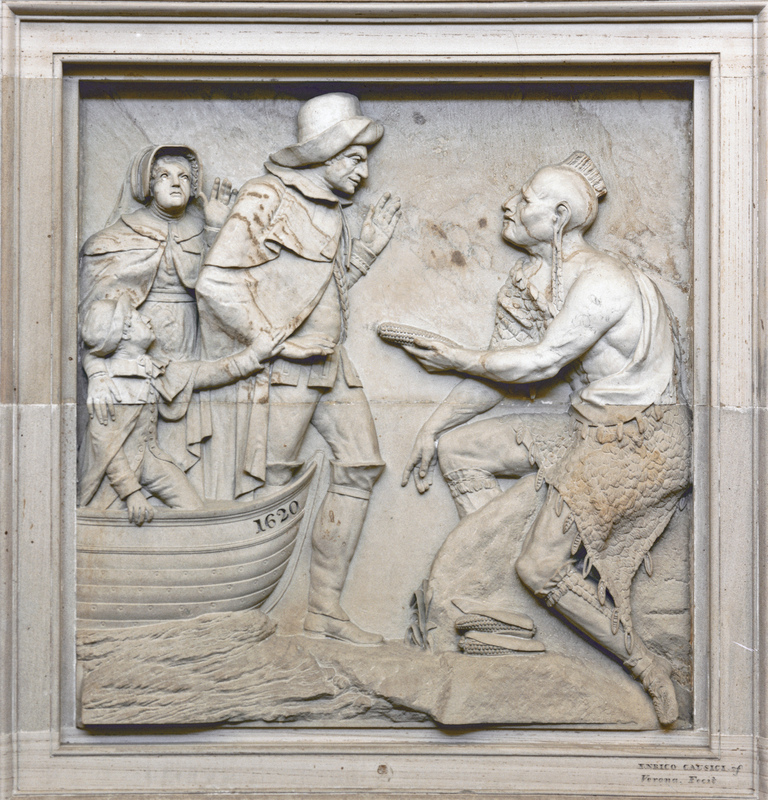 Above each of the four Rotunda doors in the U.S. Capitol are scenes from the history of the American Colonies carved in relief into the sandstone walls. The three sculptors who decorated the Rotunda were employed during the rebuilding of the Capitol after the fire of 1814. Between the historic scenes, decorative panels of wreaths and portraits, also in relief, circle the Rotunda walls.